Yesterday the CrossRoaders had their last day of theology classes! They had some free time in the afternoon to play sports and games with each other and they also had a chance to call home and visit the Holy Cross Bookstore. In the evening the participants visited St. Mary’s Antiochian Church in Cambridge and listened to a talk by the parish priest. Last evening was the end of Stage 2, “Vocation and Christ”. The participants were again given the chance to journal and reflect on all they learned during Stage 2. 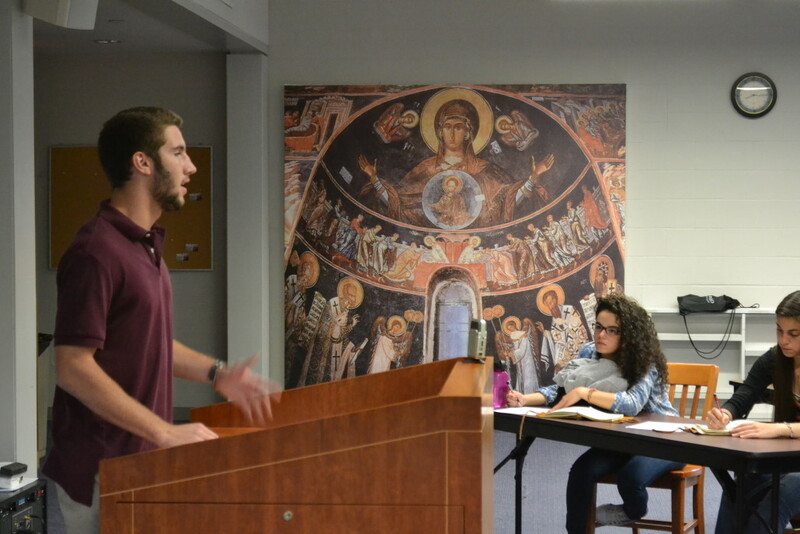 Many of the CrossRoaders got up in front of their peers and shared their reflections. We closed the night by preparing for Stage 3, “Vocation and Christ in the Face of the Other”. They were challenged to answer the question, “who is my neighbor” and explored what it means to serve our neighbor.